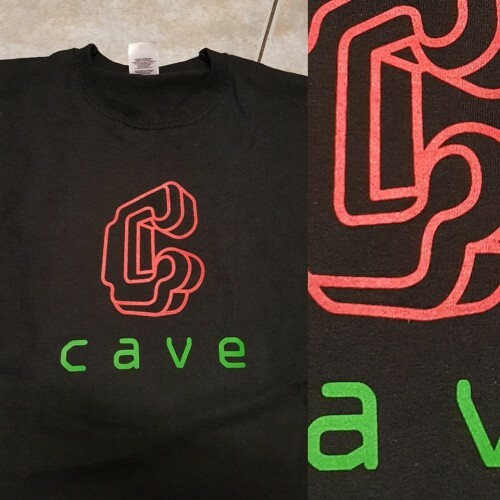 I'm doing a run of screen printed CAVE T-shirts if anyone is interested. I did one for my self (pic below) which I've been wearing and washing. Now offering them up to anyone else. I do need to order the blank T-s in and print each order with hand mixed colours, so please allow up to 2 weeks before shipping. Last edited by Johnnychaos on April 17th, 2019, 10:56 am, edited 1 time in total. Yeah of course. I don't have loads of ink colours but Black or white ink prints would be fine. I would like an all black logo on a charcoal shirt. Excellent idea...would also take one like this...but the next question is the size - what brand are the tees? Is XL really XL or more L? Ultimately i need more XXL on new Shirts...but this is not only because of me. I was using fruit of the loom but their sizes seem small. Ok, then i guess XL is fine...It's the classic cotton t-shirt or the fitted one? this style.. infact this is listed as charcoal. is this the right colour? If anyone wants any other colours just let me know.